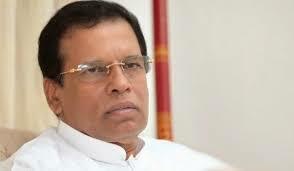 President Maithripala Sirisena has directed all authorities to take whatever swift action deemed necessary for the safety of residents of the area Salawa, Kosgama following the fire at the armoury of the Salawa Army Camp. Furthermore, President Sirisena expressed his condolences via a twitter post to the loved ones of the soldier who succumbed to injuries on Sunday (5) night's fire at the Kosgama camp. The tweet read: "My condolences to the loved ones of the brave soldier who succumbed to injuries in last night's fire at Kosgama camp." The President further tweeted: "I have requested all authorities to take all immediate actions necessary for the safety of the residents of the area." Accordingly, President Sirisena and Prime Minister Ranil Wickremesinghe have instructed the Criminal Investigations Department (CID) to conduct an investigation into the fire and subsequent explosions at the Kosgama Salawa Army Camp. Minister Sagala Ratnayake said investigations have already commenced. State Minister of Defence Ruwan Wijewardene says an extensive investigation will commence to determine the cause of fire. The fire that broke out at the armoury of the Kosgama Salawa Army Camp was doused yesterday (6) morning. However, another fire was reported soon after and it too was immediately controlled according to authorities. The fire that broke out around 5:45 on Sunday (6) evening spread to the armoury resulting in a number of explosions. One solider succumbed to his injuries at the Homagama Hospital. Meanwhile, eight military personnel and 40 civilians have been hospitalized with injuries and breathing difficulties.